This basic leash was one of our first leashes. We developed it in search of a leash that fulfilled our lowest needs on the one hand and would be tough and of higher value on the other hand. This leash is about 1.5m long and has got a permanent loop. The colour of the carabiners depends on the colour of the rope. Just let us know if you prefer a special colour for your carabiners (silver or gold). Have a look at all our colours. Find the perfect collar or toy for your beloved dog. This leash is about 1.5m long and has got a permanent loop. The colour of the carabiners depends on the colour of the rope. Just let us know if you prefer a special colour for your carabiners (silver or gold). This short leash is adjustable and gives you the chance to change the lenght of your leash. The length of the leash is 1,6m in the long version and about 1,0m in the short version. The colour of the carabiners depends on the colour of the rope. Just let us know if you prefer a special colour for your carabiners (silver or gold). This leash is about 2.6m long and gives you the chance to choose your favorite length. The knots of this leash can be shifted as you prefer it. The colour of the carabiners depends on the colour of the rope. Just let us know if you prefer a special colour for your carabiners (silver or gold). Our retriever leash is the perfect leash for spending time outdoors with your dog. Once you want to let your dog run free you simply pull the collar over his head. The collar is integrated in the leash. The breadth of the collar can be adjusted by shifting the knot. 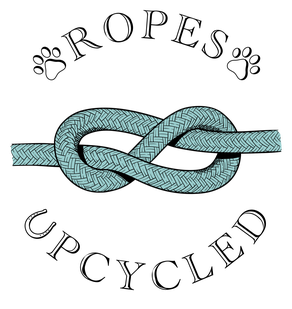 An additional knot prevents the collar from becoming too wide. This retriever leash is about 1.6m long (excluding the collar). This leash is flexible and totally adaptable. It gives you the chance to adjust the length of the leash and the size of the collar as it fits for you and your dog. The tension restriction prevents it from being pulled too tight. Once you want to let your dog run free you simply pull the collar over his head. This retriever leash is about 2.6m long (excluding the collar).